Badgworthy Water is formed by streams that run from East and West Penford and Trout Hill, Long Combe and Lark Barrow. It flows in a northerly direction and is joined on the south side of Badgworthy Hill by its main tributary, Hoccombe Water. It flows through Doone country, between Badgworthy Lees and South Common. 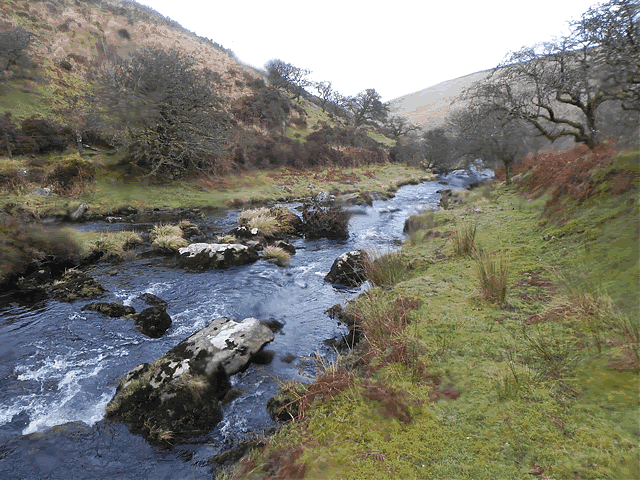 It continues east of Malmsmead Hill and Its journey ends when it is joined by Oare Water near Malmsmead, to form the East Lyn River.